With its flat edges designed for stacking, this A. Jaffe diamond band is the perfect companion to your A. Jaffe engagement ring or even to wear by itself with its abundance of diamond sparkle. Featuring 1.60 ct tw in radiant cut diamonds, this ring is perfect for your trip down the aisle or as an unforgettable gift to commemorate all the years you've spent together. Available in 14K or 18K white or yellow gold, or platinum. 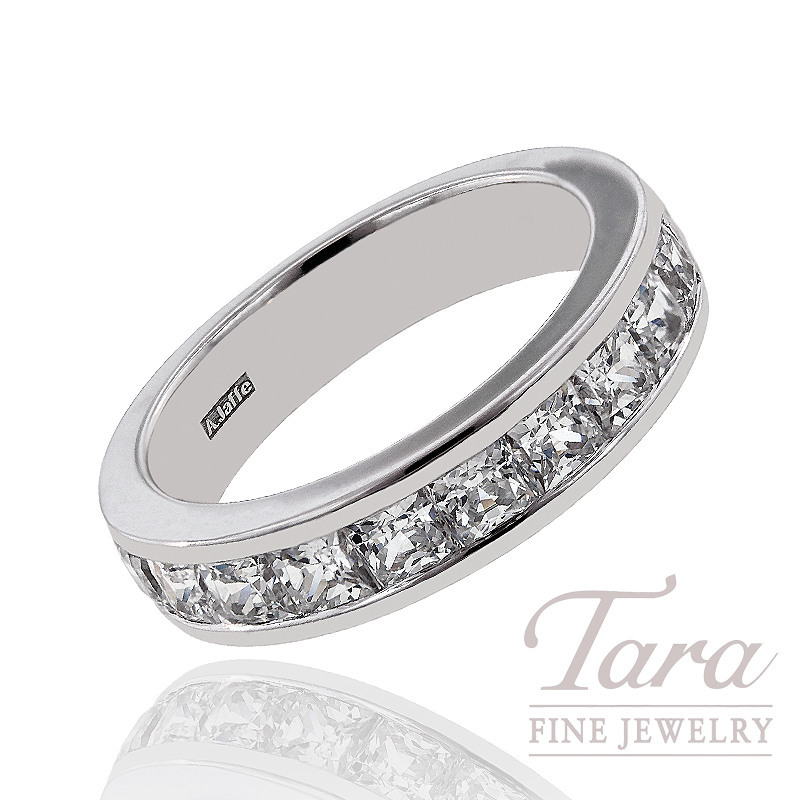 Come by Tara Fine Jewelry Company today and let a jewelry consultant assist you with current pricing. See this gorgeous A. Jaffe diamond band in person at Tara Fine Jewelry Company. Home to the top names in jewelry design, Tara Fine Jewelry Company is Atlanta's first choice for A. Jaffe as well as the most acclaimed names in jewelry design. Conveniently located 3 miles from the Mall of Georgia, Tara Fine Jewelry Company offers unrivaled customer service and the finest high quality jewelry and fine Swiss watches by Rolex, Breitling and Omega.